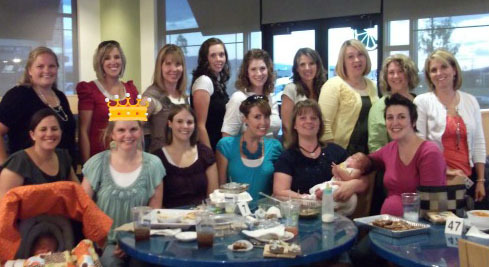 A couple weeks ago I went to a super fun Girls Night Out with a bunch of bloggers. Guess who I got to meet there?? Right now Riley Blake is having a Quilt Contest. 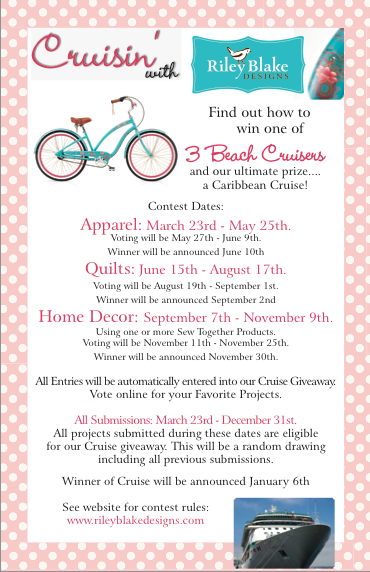 You just enter in your quilt made from mostly Riley Blake fabrics and you could win one of these super cute Beach Cruisers!! So the quilt contest ends August 17–so get in your entries! Everyone who enters is automatically entered into a giveaway for a free CRUISE!! Okay here’s the giveaway: Riley Blake is giving away one fat quarter bundle to one of you!! 1 Entry: LIKE Riley Blake on FB!! 2 Entry: Share this giveaway on FB or Twitter! Comment back for each entry! You must follow my blog to enter. Giveaway will end Monday, August 8th. I officially facebokey liked Riley Blake! I like Riley Blake on facebook. I love love love their fabric! I like Riley blake on FB! Thanks so much for the giveaway! I like Riley Blake on facebook. I also shared it on twitter (twitter name: jessicadehring… follow you there to). I liked Riley Blake on FB! Seeing as how I have two boys, I’ve always loved Riley Blake! I like them on Facebook. Like Riley Blake on FB. Shared it! Loving this fabric!! Following Riley Blake on FB! I like Riley Blake on FB. Thanks for the giveaway! Love Riley Blake and liked on FB! how fun is that?! great photo and you do not look homeless…that is some FUN fabric, I love Riley Blake…I have some sugar & spice! I LIKE Riley Blake Designs on Facebook! I liked Riley Blake page in FB !! I like Riley Blake on Facebook! I posted the link on FB,,,,,,,sadly, lowering my chances, but happy to share your beautiful site! I like her on facebook. I already have some great ideas for those yummy fabrics! Great giveaway! I liked on FB! I love the fabrics. I liked Riley Blake on FB. Liked on fb. I hope I win! I Like RB on Facebook…. Love their fabrics 🙂 Thanks for the giveaway! I’m already a follower of Riley Blake on FB. Love those fabrics! I follow your blog, and I also tweeted the giveaway. Thanks so much. I like Riley Blake on FB. Thanks! Shared giveaway on Facebook! Love Riley Blake! I liked Riley Blake on facebook, Love the fabric! Liked Riley Blake on fb! I like Riley Blake on FB. How gorgeous are those fabrics!? Loved u on facebook! Follow u on this site AND reshared this post on my fb profile…I gotta win this fabric…would love to use in my classroom centers!!! Thks!! I have liked riley blake on FB. I “like” Riley Blake on facebook. I have to say that I love RB so much. I made my daughter’s baby quilt out of the “Bloom and Grow” collection and just hunted more fabric down to make matching bumper pads! What a great giveaway! Oh yeah, and you know that I also shared this giveaway on facebook! I liked Riley Blake on FB. I love RB fabric. Love, love, LOVE. I liked Riley Blake on FB and shared the giveaway too! Love this fabric!! What a great prize. I “like” Riley Blake on facebook. Their fabric makes me drool a little…. Yummy! I shared the giveaway on facebook as well. Thanks for having it! 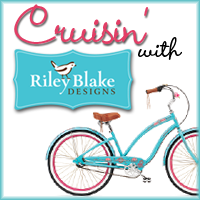 I LOVE Riley Blake designs and am now an official facebook fan as well. Thanks for the fun giveaway!! liked them on FB – – this would be awesome!! I liked on FB! 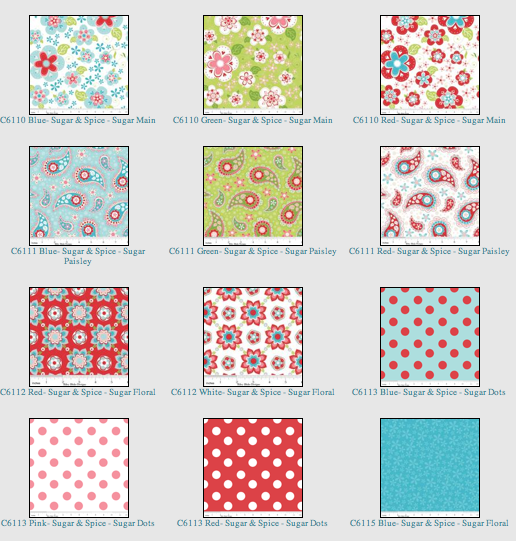 Super cute fabrics! I liked Riley Blake on facebook! Such amazing fabrics! I shared this giveaway on fb, twitter! Crossing my fingers. I love riley blake fabric. I would love to win this bundle. I am a fan on FB! I liked them on facebook. Great fabric! I liked RB on FB! I shared about this giveaway on my facebook page! 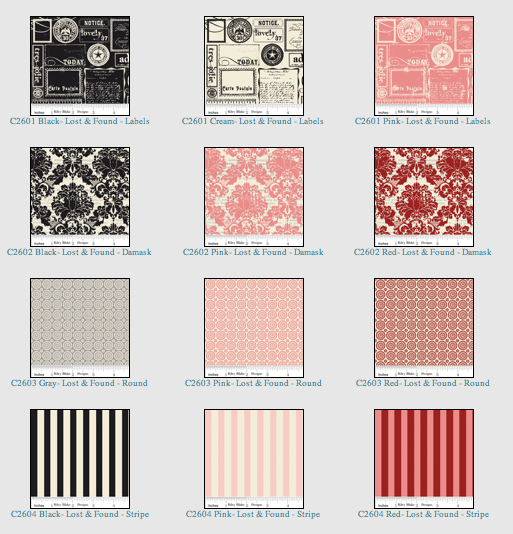 I just love Riley Blake fabrics!! I like Rley Blake on Facebook. 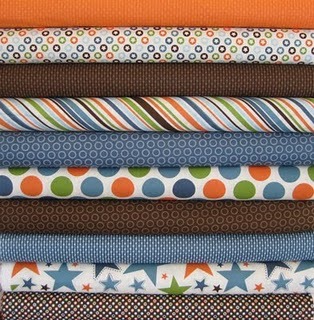 I LOVE Riely Blake fabric, and I just “Liked” her face book page!!!! I shared about your contest on FAcebook!!! On another note, In your picture, you have the Riley Blake All Star line, but you said that it way Riley Blake All Star 2- which is also way cute! I like Riley Blake on fb! 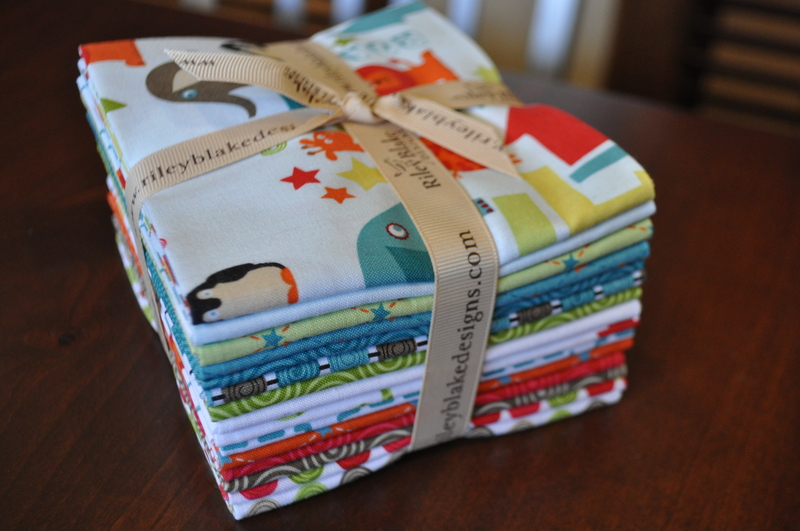 Like Riley Blake on Facebook…..their fabrics are incredible! Thanks for a fun giveaway!!! I like them on fb!! I love your blog, first of all. My niece Vanessa G. (of “Lella Boutique”) turned me on to your blog. Glad I am finally one of your followers. AND! I like Riley Blake, and posted on their FB page, then also shared the contest on FB. Any other steps I should follow! Adorable fabric!! 🙂 –Ruth C.
I like Riley Blake on FB and LOVE their fabrics! I ‘loved’ Riley Blake on Facebook (can’t believe I didn’t already). I am following you via email, I liked you and Riley Blake on FB! I also shared the giveaway via a post on FB. I hope I win, this fabric is adorable! That is some seriously cute stuff! I liked them! and shared the giveaway on FB as well…. PS- so glad i found your blog too, so many cute ideas! Liked Riley Blake on facebook, wish I could have ‘loved’! I liked them on facebook as T Jensen! I tweeted about the giveaway – here’s the link to my tweet! I liked Riley Blake on facebook. I hope you are entering their contest – you should win! I liked RBD on Facebook! I also shared the giveaway on Facebook! I “loved” Riley Blake on Facebook! I <3 Riley Blake Designs on FB! Amazing fabrics! that all I have to say about Riley Blake Designs… I, of course, liked them on facebook and as of now follow you via GFC. I like Riley Blake on fb. I love their fabrics! Posted this awesome giveaway on FB! I just joined your blog. So many fun blogs to follow. What lovely fabric! I already liked Riley Blake Designs on facebook. That is how I heard about your blog. I just shared this giveaway on my facebook. I would love to try out some of these gorgeous fabrics! Liked; shared link on facebook. Love their fabrics. Luv Riley Blake and already liked them on FB 🙂 Thanks for a great giveaway! I’ve like Riley Blake on facebook for a long time! And I LOVE (like seriously) LOVE their fabrics! I liked Riley Blake on Facebook! I tweeted about your awesome giveaway @LisaT63, thanks! I am also liking Riley Blake on Facebook, thanks again! I like Riley Blake Design on Facebook! thanks for the lovely giveaway! shared giveaway on fb! thanks!